Home is where your heart is and this stunning open designed country home is going to steal your heart. The aesthetic appeal of the open beams and floor to ceiling fireplace are beyond compare. 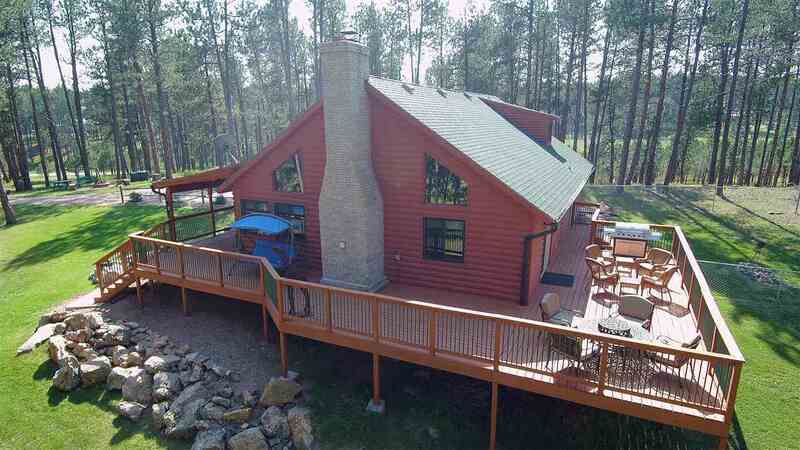 Located in the exclusive Silver Star subdivision just minutes from Custer. This three bedroom, two bath home on five plus acres is tucked privately back away from everyone. The park like setting with beautiful gardens is a summer sanctuary. You will enjoy the summer nights relaxing on the spacious decks or sitting around the fire pit. Close to Forest Service and the Mickelson Trail, you will find unlimited outdoor recreational activity only minutes from home. You will see and feel the owners pride and love for this home in the meticulous care and maintenance throughout the entire home and property. If you have been waiting for the perfect home in the perfect setting then your wait is over. Two horses per five acres is allowed in the subdivision. This is an exceptional home and a Must See!